Lieutenant Colonel (USAF Ret) Chester (Chet) Martindale was born in Walnut, Mississippi on October 3rd, 1947. As the son of a Ford Motor Company factory worker he came to love "all things fast" at a very early age. Chet, lifelong friend Fred Prescott and others were constantly building and racing go carts, cars, and motorcycles throughout his youth. Chet graduated from Coffee High School, Florence, Alabama in 1965. At Auburn University he joined the ROTC and was Treasurer and President of his fraternity Chi Phi. Chet earned a degree in Mechanical Engineering in 1969. Upon graduation from Auburn, Chet followed his love of speed into the Air Force where he had a twenty-year career in fighter aircraft both as a navigator and a fighter pilot. At 24 years of age, as a young lieutenant, Chet flew over 300 combat missions during two tours in Southeast Asia, including more than 50 missions over North Vietnam. Chet firmly believed that his almost two years in Southeast Asia were a pivotal time in his life. As Oliver Wendell Holmes, the famous Supreme Court Justice and Civil War veteran once said, Chet's "heart was touched with fire" by his combat experience and he learned that "life is a profound and passionate thing." Chet was awarded four Distinguished Flying Crosses and twenty four Air Medals for heroism and gallantry. After his tours, Chet returned to the States where he was selected to be in the initial cadre of pilots to qualify in the F-16. He served in multiple positions in leadership and training in the "Viper" and was greatly involved with the operational testing of the aircraft as it entered Air Force service in the early 1980s. It was during his training in the F-16 at Hill Air Force Base in Utah, that Chet met the love of his life, Lynda. They married in 1981. After his retirement in 1990, Chet began his second career flying 16 years for Delta Air Lines, where he excelled qualifying in six different aircraft, and retiring as a Line Check Captain in 2005. In retirement, Chet once again pursued his love of speed as he and Lynda spent most of their free time "alone together" riding their Harley Davidson motorcycles traveling the country. A natural leader, Chet was currently serving as the Director of the Great South Hog Chapter #2505 of Newnan, GA and was the former President of The Breakers condominium association in Ft Walton Beach, Fl. Chet is survived by his wife, Lynda, daughter Lailah Z. Bengelloun-Zahr, son Chad M. Crowley, grandson Gavin A. Crowley and brother Charles Martindale. 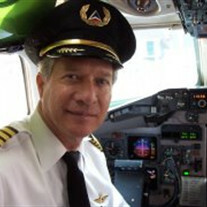 News has reached our group with the passing of retired Delta Air Lines pilot Captain Chester Curtis Martindale, age 70. Captain Martindale joined Delta 03-12-1990 and was based 030/ATL at time of his retirement. He is survived by his wife Lynda. Arrangements are pending and will be advised when known. 145 Golfview Club Drive, Newnan GA 30263-3356. Chet was a true professional aviator. I flew with him in the 90s, he was always a pleasure to be with. Our deepest condolences go out to his family.